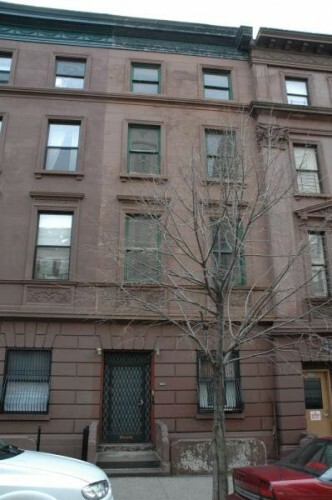 A Townhouse In Sugar Hill For Under $1M? Yup. If you’d like a townhouse but worried you can’t afford one – there are places out there that you just might be able to afford. 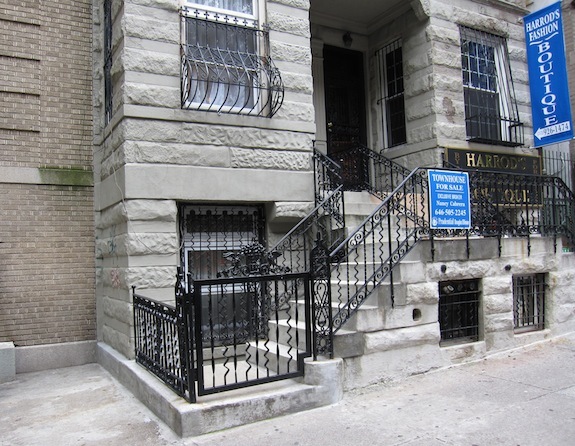 While Washington Heights townhouses are generally less expensive – affordable townhouses are available in Harlem as well. 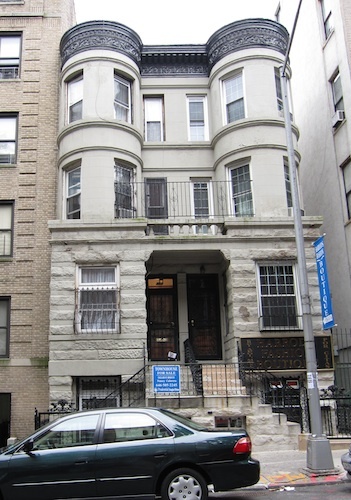 Case and point is 470 West 148th Street – which is just outside the Sugar Hill historic district. It sold recently for $915,000 after being on and off the market for a quite a while. In fact it was on the market for around a million when we were looking in 2009. It was one of our fallback places in case we couldn’t find something we could afford. On the plus side you get a great single family home with 3,000 sq. ft. (12.5′ x 60′ x 4 stories) that’s in generally good condition. There is some original details left and a very peaceful back yard. The biggest problem is that it’s not the entire building you see in the picture above. It’s just the left half of the building – that means the townhouse is only 12 1/2 feet wide. On the plus side it is 60 feet long and doesn’t feel as narrow inside as you might think, but there’s no denying it’s small. While it’s technically about 3,000 sq. ft. – that includes walls. Usable square feet are closer to 2,550 (11′ x 58′ x 4 stories). Another issue is that while everything seemed like it was in decent shape, the renovation was minimal – sort of “rental grade” in terms of quality. Doors were a bit flimsy, the sheetrock was uneven, etc. But that’s something that can be fixed without too much trouble. 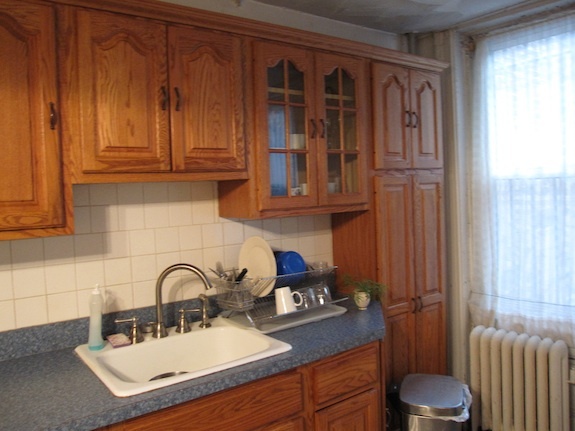 In that last picture you see that the narrowness of the house is a bit of an issue. There’s not a whole lot of room between a queen sized bed and the fireplace. But compared to new build condos with their tiny bedrooms it’s not all that bad – just not as good as other townhouses in Harlem. 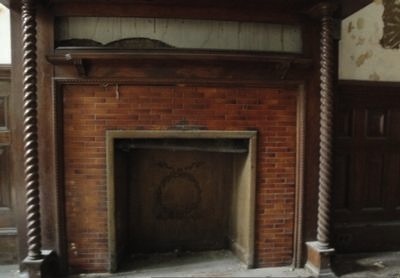 There are some nice original details left – like the fireplaces. 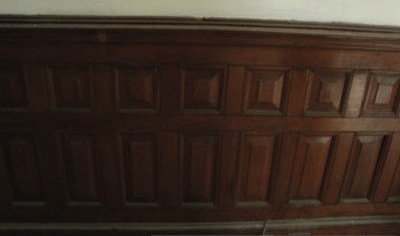 They do add some nice character to the house. Back when we were looking the comps were lower and if my memory serves me, I only felt it was worth something like $650 to $700K (to us) – which was well below the $1M asking. Comps are higher now and all in all the sales price was probably about right. $915,000 comes out to $305 per square foot. Comps with better renovations are getting $400 to $450 per square foot (or more). And honestly the renovations in some of those comps aren’t really all that much better than what you have here. But there is the issue of the width and the signage on the sister townhouse. All in all I think it’s a great little house at the price of a so-so condo or coop. And don’t forget – this place is completely mortgageable with a conventional mortgage. 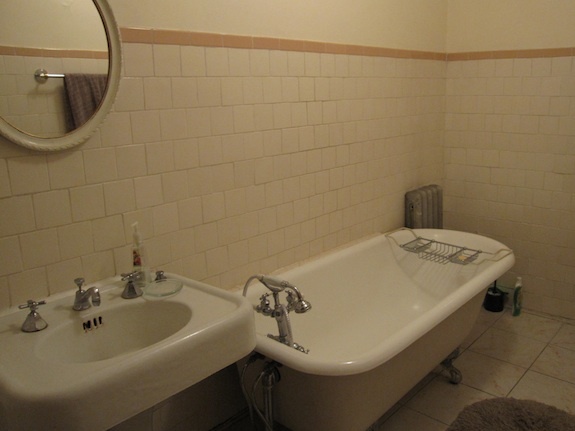 There are no renovation loan hassles (or renovation hassles). So it was a good deal. 540 West 149 Sells for $609K – $183/sq. ft. Yesterday I went over a low comp in Sugar Hill that sold for $79/sq. ft. But there was another sale recently – just 3 blocks south of the other one. 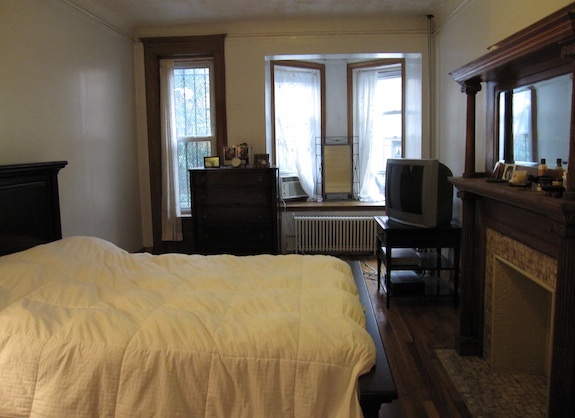 540 West 149th Street sold on 6/30/11 for $609K. The building is 16.67′ x 50′ x 4 stories – so 3,334 sq. ft. though officially it’s 3,400 sq. 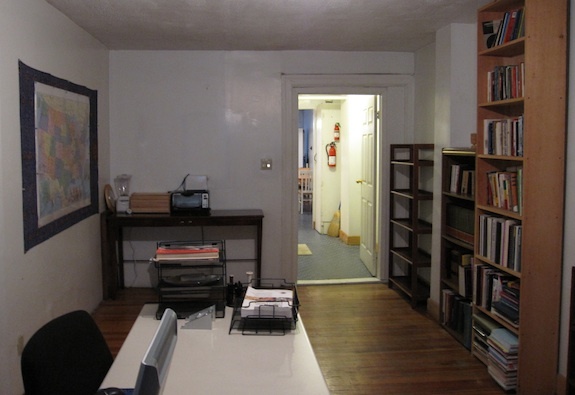 ft. At the lower square footage it nets out to $183/sq. ft. at the higher square footage it’s $179/sq. ft. So while the prices are just $119K apart, on a price per square foot basis the 149th Street property is more than twice as expensive. So what do you get for the extra $120/sq. ft.? You get original details and a better location. This building still isn’t in the Sugar Hill historic district, and the buildings immediately west (542-548) are low-income housing. But unlike the 152nd Street property the block is predominantly brownstones / townhouses. The low-income housing next door is very nicely done (though they have the tell-tale wheelchair ramps you rarely find with owner-occupied houses). And the ever critical subway access is somewhat better than the 152nd Street property – just a 7 minute walk to the A/B/C/D express trains @ 145 and 5 minutes to the 1 train @ 145. That’s a very different renovation than the one that will be needed at 535 West 152. At 152 the new owner is probably starting from scratch (like we our with our place) – rebuilding all the floors, the walls, the roof, etc. With this place it’s more about restoration – repairing what’s there and adapting it for modern use. It will still need all new electrical and plumbing. There will be rotten floor joists that have to be replaced, etc. The place on 152 is best suited for someone who wants a rental property – since it has more square footage than any homeowner would ever need and the block is predominately a rental block. 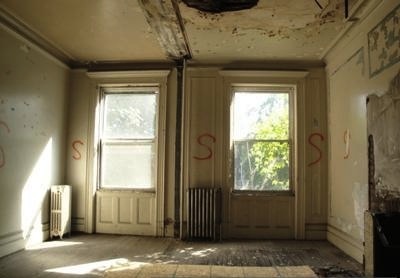 This place would appeal more to a homeowner who wants a wonderful old place that needs TLC. Very different places with very different prices. A Sugar Hill Townhouse Shell For $78/Sq. Ft. 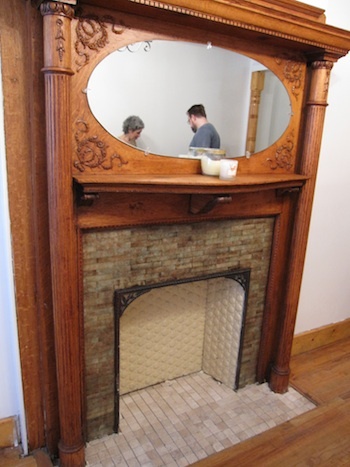 I think someone just got a pretty good deal on a Harlem townhouse shell… 535 West 152nd Street just sold for $490K. While the number may seem like it’s inline with other shell prices, apparently the place has 6,290 sq. ft. despite the fact that it’s just 16 2/3 feet wide and just 4 stories. That’s almost double the square footage of many Harlem townhouses. The place has an extension that stretches back 90 feet. So given the +/- 5 foot set back in the front – that’s nearly 100% lot coverage (though I’m sure there’s some sort of side yard). At 6,290 sq. ft. the buyer bought the place at $78/sq. ft. – which is an incredible price. I’m not sure exactly what the condition was inside. The issue is that 6,290 is 566 sq. ft. over the max allowed square footage of 5,728. If it’s in really bad shape it’s possible that DOB might not allow the new owner to build back to restore the building to the original 6,290 sq. ft. Still, even at 5,728 sq. ft. they paid $86/sq. ft. – which is still very low. The reason why this place went for such a reasonable price was because the seller was realistic about the place’s value. The seller was the same developer we purchased our townhouse from – TPE Townhouses Harlem (TPE is part of Tahl Propp – a big Harlem landlord). This was possibly the last of about a dozen townhouse shells they were selling. They weren’t giving away the townhouses, but they knew to sell a dozen shells you gotta take the best offer – even if it seems low. Just to put this building in perspective… It’s outside the landmark district, and not all that close to subways – it’s a 6 minute walk to the 1 train at 157, 7 minutes to the C train at 155, and 8 minutes to the A/B/C/D trains at 145. The block it’s on is also mostly apartment buildings – not the charming tree-lined brownstone blocks you find elsewhere in Harlem. So it’s sorta lacking on location. The other day I looked at what things were selling for in and around Mount Morris Park, so I figured I’d do the same thing for West Harlem (Sugar Hill & Hamilton Heights). I did a radius around a friend’s place in the middle of the historic districts up there and what I found was that prices per square foot just aren’t as high in West Harlem as they are around Mount Morris Park. Red lines are 1 and 2 family. Blue is 3 family. Black is 4+ family & SROs. There are fewer sales to work off of, and none of the shells were in as bad shape as the ones near Mount Morris (the West Harlem shells all had windows), so it’s hard to do an exact comparison. Also, some of the sales on the list had odd histories with auctions and lis pendens just before the last sale – I’m not sure they’re good comps since other things may have been in play on those sales. Regardless, while one sale did hit $2M, what you’ll notice is that the price per square foot for that sale was only mid-$300s/sq. ft. – about $100/sq. ft. lower than in Central/South Harlem. Only one sale got above $400/sq. ft. When I did the same analysis 5 months ago I saw the same trend – West Harlem prices just aren’t as high on the high end – which leads me to the same conclusion – West Harlem is a great place if you want to pay a bit less for well-kept house. That’s also consistent with the low prices in South Washington Heights – just north of Sugar Hill. The other conclusion is that because there’s less of a gap between shells and the high end there’s less opportunity to make money renovating a shell in West Harlem than further south. 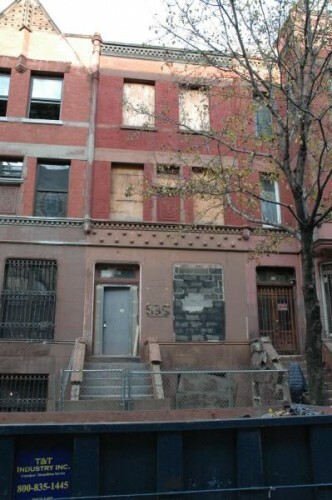 We actually went through 413 West 154th Street during our search. It sold for more than we expected. A nearly identical sister townhouse just around the corner on St. Nick had sold in August of 2009 for $1.05M and it was recently renovated. 413 needed $200K to $300K in renovations. Still, it was a very solid house in good repair. If you didn’t mind the aging renovations there was nothing that needed to be done. A few of these houses we knew pretty well. We had gone through 844 St. Nick a couple times. It was a wonderful ark of a house with huge rooms, great bones, some original details, a certificate of no harassment, and approved plans for conversion to 2 family (under 1968 building code). It was owned by a friend and initially we thought we couldn’t afford it, then he confided what he really wanted and we bid $765K, but he already had a verbally accepted offer for $775K and so we didn’t get it. 505 West 144th Street was always the one we’d bring up when we got discouraged and thought we weren’t going to be able to buy a townhouse. We went through it twice. Despite the strong sense of dog urine (a ‘caretaker’ had a dog in there for years and didn’t walk it very often), it had some real charm. But ultimately we walked away because we didn’t feel comfortable or safe on the block at night. With the exception of 521 West 150th, low end prices were slightly higher than I would have expected – especially given the stagnation in the neighborhood in the higher end properties. There’s less of a gap between shells and high end properties than there is in Mount Morris Park which means less opportunity to make a profit from renovation. It would seem Hamilton Heights and Sugar Hill are are the place to buy if you want a higher end property that needs minimal renovation – the properties are going for a half million less than they are 20 blocks south. What might be hurting sales is the lack of services. Mount Morris Park and South Harlem have great restaurants, grocery stores, etc. Those are sorely lacking in Hamilton Heights / Sugar Hill. Do You Know Anyone Who Finished Renos In 2012?